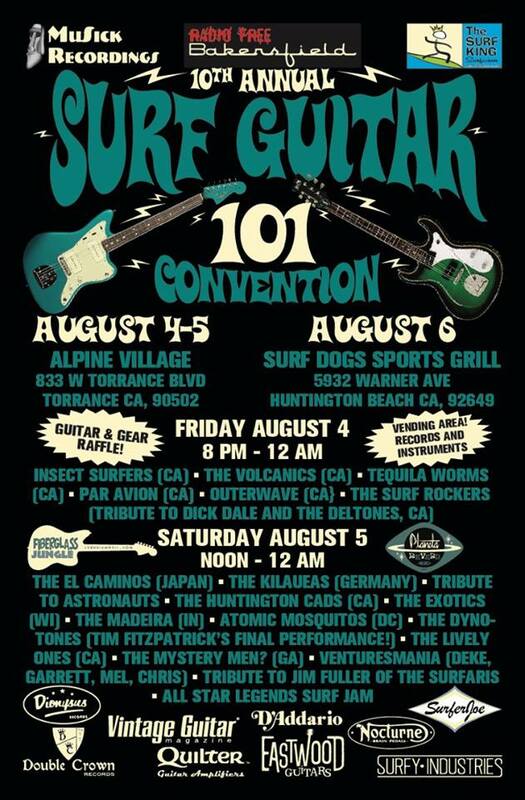 10th Annual Surf Guitar 101 Convention This Weekend! Surf Guitar 101 Convention 2017 is happening this weekend! It’s the 10th Aniversary of the event which this year is spread over three days. The first 2 nights are at Alpine Village in Torrance. The third night is at Surf Dogs in Huntington Beach. Come visit the Dionysus Records booth in the merch area! The Lively Ones – Ca. All-Star Legends of Surf Jam.